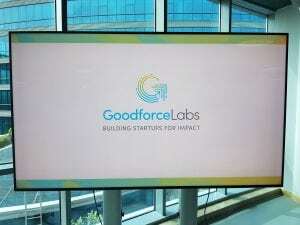 Dubai Airport Freezone Authority (DAFZA) announced the launch of Goodforce Labs, an innovative startup incubator focused on transforming ethical startups in the fields of Islamic economy and Halal industries into global success stories. The incubator will work to revitalize the Islamic ethical economy utilizing a deep venture building platform. This will be achieved by selecting a group of startups and small and medium enterprises and support them towards a USD 50 million in annual revenues and measurable social impact. 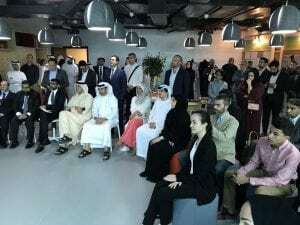 The new incubator was launched with support from DAFZA, one of the leading free zones in the world; Dubai Islamic Economy Development Center, which is responsible for bolstering Dubai’s position as a world capital of Islamic economy; and Technolera, a leader in building partnerships and drawing capitals for startups, a global organization dedicated to enhancing ethical practice in business. The Goodforce Labs was launched in a special event attended by Nasser Al Madani, DAFZA’s Assistant Director General; Amna Lootah, Assistant Director General – Finance, Commercial & Customer relations Division Foster of DAFZA Innovation & Future Unit; Saeed Kharbash, Deputy CEO, Dubai Islamic Economy Development Center; and Rafi-uddin Shikoh, Director of Goodforce Labs and CEO and Managing Director of DinarStandard, along with a group of entrepreneurs, Islamic economy experts, and investors. This launch is in conjunction with UAE Innovation Month. The incubator seeks to help startups and corporate intrapreneurs in starting, managing, and developing their businesses into global social impact driven companies. Goodforce Labs also provides services for companies seeking to start and develop their businesses, including design, marketing, operations management, and providing the latest technologies, all in order to achieve the goals of financial growth and social impact. More than 400 startups have focused on the ethical Islamic Lifestyle Economy proposition that was launched five years ago. Since then, an ecosystem of more than 2,500 companies has been established within this field. Most Islamic economy startups, which are part of this wider ethical market, face many problems and struggle to grow and survive, with the absence of growth in income being chief among the difficulties and challenges facing them. The work of Goodforce Labs covers an assortment of active global ethical economy sectors, mainly from food, finance, education and lifestyle sectors. The incubator, which is the first of its kind in the region and the world, will work to overcome obstacles facing startups, allowing them to grow and expand in international markets, transforming Islamic ethical economy sectors into global sectors that reach ethical and Islamic markets and are governed by justice, transparency, and credibility of products and services. The higher goal of this initiative is enhancing Islamic ethical economy startups to become globally competitive, in addition to transforming local products into international products with significant social impact and influence. A number of start-ups have already joined the incubator. They include: Growmada, an electronic platform for selling handicrafts from developing countries; Waqf 2.0, a cloud-based platform for managing Awqaf; Zileej, a company specialising in disciplined entertainment products; Rabia Z, which designs modest women’s clothing; iWealth, a digital tool for financial literacy for the youth; and Goodfood Institute, an e-learning platform for Halal and ethical food industry professionals.